Got Milk? I know you’ve probably all heard that ad by now. Here’s the thing that the dairy industry doesn’t want people to know; you don’t need to get your calcium from milk, and, you don’t need a lot of calcium! 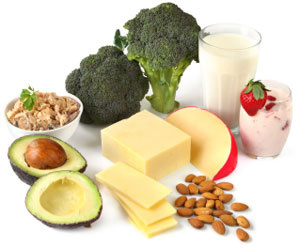 The Institute of Medicine recommends 1,000 milligrams of calcium daily for adults. This is based on the assumption that we only absorb about 30% of the calcium in the foods we eat. Research has shown that we actually only need around 250 to 300 milligrams per day. If you’d like to shift your focus from total calcium to calcium absorbed, check out the info below. I hope this helps you get the calcium you need in your diet. Haven’t gotten your free health consultation yet? C’mon, what are you waiting for? Email me TODAY at karen@thecaringcoachingcenter.com to book yours NOW! Excellent post about actually calcium requirements and the excellent plant sources available. Of course the dairy industry wants you to believe we need 3 servings of dairy each day, but please keep in mind that we are the only species that consumes dairy after weening and animals don’t suffer from the rates of osteoperosis that humans do!